Continue scrolling to view additional product information. Experience the magic of the world famous Dead Sea without ever leaving the comfort of your own home! This presentation worthy premium gift box contains one 1.75 lb. 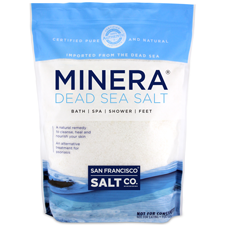 Luxury Bag of Unscented Dead Sea Salt and one 1.75 lb. bag of Lavender Dead Sea Salt. 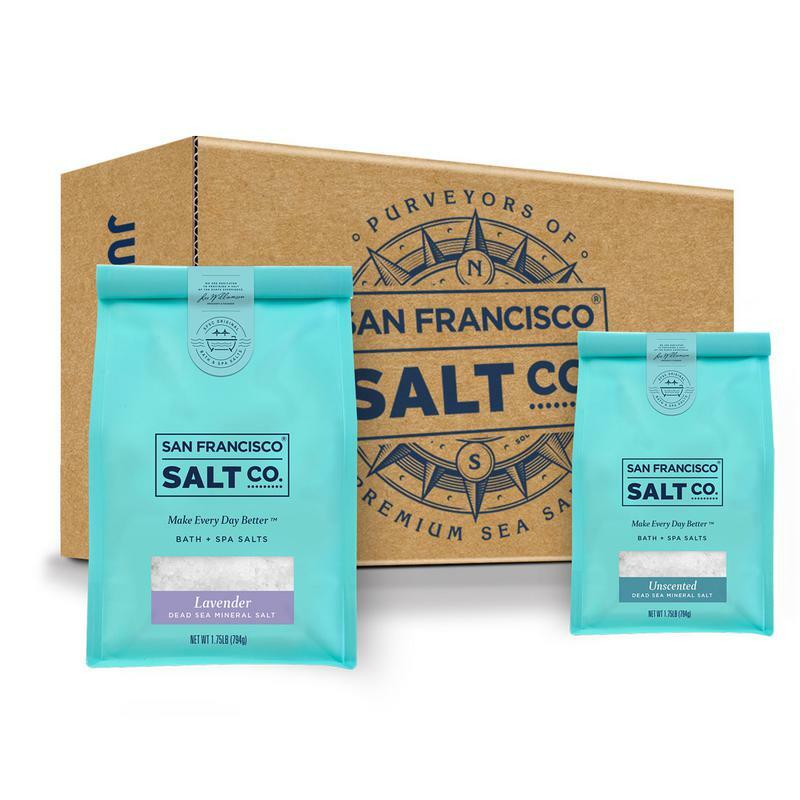 Known for its premium quality and many therapeutic uses, San Francisco Salt Company's Unscented Dead Sea Salt is the purest and most mineral rich Dead Sea Salt available. 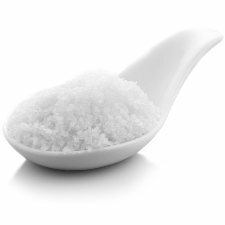 Our Dead Sea Salt dissolves effortlessly in warm water to help detoxify, cleanse, and nourish your skin. We harvest our salt from the Southern end of the Dead Sea in Israel where the water's mineral content is at its highest and deliver it straight to you in its raw, natural form. Our all-natural Lavender Dead Sea Salt is made by infusing 100% pure & mineral rich Dead Sea Salt with a soothing all-natural Lavender fragrance. As you soak, the soft aroma of lavender fills the air, immersing you into a deep state of tranquility. 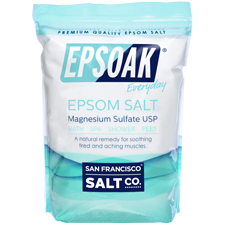 Unscented Dead Sea Salt: Pacific Sea Salt, Laminaria Digitata (Kelp) Powder, Lavandula Officinalis (Lavender) Essential Oil, Rosmarinus Officinalis (Rosemary) Essential Oil, Camellia Sinensis (Green Tea) Extract, Tocopherol (Vitamin E), Aloe Barbadensis (Aloe Vera) Leaf Juice. Lavender Dead Sea Salt Ingredients: Dead Sea Salt, Fragrance*, Tocopherol (Vitamin E), Aloe Barbadensis (Aloe Vera) Leaf Juice.